I knew today was going to be triggering for me because I came to class with the knowledge of what my lecture was going to be about. I didn’t have any expectations for myself, apart from the fact that I forced myself to go-and I’m glad I went to class. As much as academics are important, it’s also important to prioritize your mental wellbeing, especially if your powering through school with anxiety and mental illness. For some people, school and academics are driving methods of achieving success in their lives, but for others (like me), school can sometimes hinder life, as well as success. While it’ important to constantly challenge oneself, it’s also important to know when you need to step back and take time to collect yourself and your thoughts. And it’s also important to not compare yourself to others. I didn’t participate as much as I could have today and I also left earlier than expected, but that was just my way of working through the situation. Categories: recovery | Tags: 365 day project, anxiety, health anxiety, hypochondria, mental health, mental illness, mental wellbeing, recovering from anxiety, self-help, trigger, triggers, university | Permalink. Trigger Warning: death, depression, health. Little Disclaimer: In my life, I am privileged to have experienced death in a certain way- I’ve never experienced war or violence that takes lives. Members of my family have only ever passed away due to isolated health complications that could not be cured with medication. Despite a tendency towards mental illness, my family is pretty healthy. It’s weird to say that there is a privileged way to see a loved one pass, but there is, and those are the experiences of death I am referencing when I draw from my own experience. When you are living with mental illness, there are certain triggers you can’t prevent and death is definitely one of them. My grandmother was the first relative of mine to pass away. I saw her dying long before she was hospitalized. The doctors weren’t entirely sure of why she passed away, but they said it must have been cancer. In addition to that experience, a few older male relatives of mine have passed on. Most recently, an Aunt I was very close with passed away from complications due to Type 1 Diabetes. Being triggered during or after an experience of death is a reality that happens when you have a mental illness. And as far as I’m concerned, there is obviously no method or way to prevent this (especially when the death is sudden), but there are definite ways to cope with it. For me, the actual death is not the trigger. The way that the people die is the trigger. 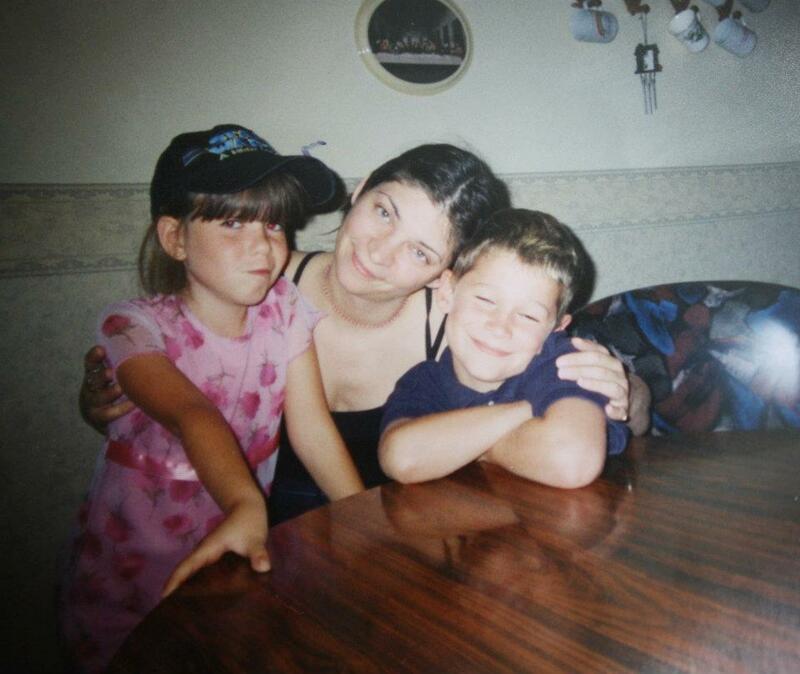 Me, my aunt, my brother, years ago. I’ve written about this before. In my first year of university, I was trying to get my mental health under control. When my aunt suddenly died from diabetes, all that effort became irrelevant. Besides mourning her death, all I could think about was getting the illness that took her life. So how does one prevent or cope with these kinds of triggers? First of all, I think it’s important to remember that your being triggered by such an event is not inherently selfish. You don’t need to feel guilt for being triggered, you couldn’t prevent it from happening (that’s why it’s called a ‘trigger’). As well, I think it really helps to talk to someone (a doctor or friend) after an experience with death. Leaving things inside of you, only allows your emotions to fester. I let my emotions fester and nothing good came out of it. I had the worst year(s) of my life. If you don’t have someone to talk to, then write, paint, do something productive with the negativity. You might be surprised with what you can create when your mind is at its worst. I wish I had better advice, and I wish there was a solution for those who have depression due to death. I had to let my depression run it’s course, but at times I was on the verge of quitting. I think the key is to talk. Talk talk talk. I feel like I should link to something incase someone happens upon this blog and needs help. This link includes a list of helplines for a few different countries. Finding helplines for your country is only a google or click away. If anyone has better advice, please leave it in the comments bellow. Categories: personal, recovery | Tags: 365 day project, anxiety, being triggered by death, death, depression, family, friends, health, hypochondria and death, life, mental health, mental illness, psychology, recovering from anxiety, self-help, stigma, stress, triggers | Permalink.